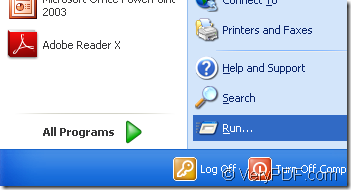 ← How to convert lots of PPT documents to XPS format? How to set the bit depth while converting emf to jp2? Sometimes you can see some images are bright-coloured while some images are pale.Why?Because of different bit depth of image,the number of color which image stores is different.For example,an image with 1-bit depth can only store two kinds of color—white and black.But most of the colorful images in the computer or mobile phone are 24-bit depth which can store 16 million kind of color. You can set the bit depth when converting emf to jp2 like the following steps. 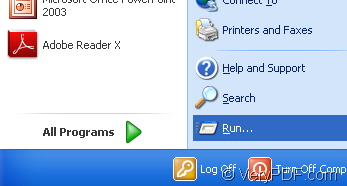 Please see Figugre1,you can click “start”-“run” and input “cmd” in “open” edit box like Figure2,then click “OK” button. 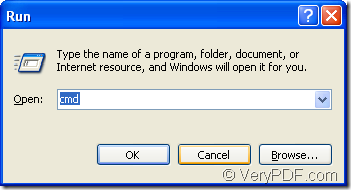 The hot key “Windows”+ “R” can also open the second dialog box showed in Figure2. Please see Figure3,you can input your command line to convert emf to jp2 format in cmd.exe dialog box. "C:\Documents and Settings\admin\Local Settings\Temp\htmltools\htmltools.exe" is the path of called program—htmltools.exe which is the executable file in software HTML Converter Command Line which will be introduced in the end of this article. -bitcount 24 is the value of bit depth of target file. 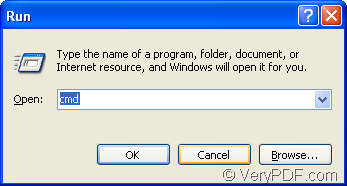 If you don’t want to input such long paths like the called program and source file,you can drag the file you need into cmd.exe dialog box and the file will turn to directory itself enclosed with double quotes. blank.jp2 is the name of target file. You can find your target file in current directory.Please see Figure4.The target file can be viewed by many kinds of viewer such as IrfanView,GSview,etc. HTML Converter Command Line is a powerful HTML software which allows you to create previews or thumbnails of web pages in a number of different formats, such as TIF, TIFF, JPG, JPEG, GIF, PNG, BMP, PCX, TGA, JP2 (JPEG2000), PNM, etc. It also allows you to convert web pages to PDF, PS (postscript), WMF, EMF vector formats.HTML Converter Command Line can be called from within ASP, VB, VC, Delphi, BCB, Java, .NET and COM+ etc. program languages. It uses advanced techniques to allow efficient asynchronous multithreaded operations.If you want to convert emf to jp2 yourself,you can download HTML Converter Command Line at http://www.verypdf.com/htmltools/htmltools.zip and try it yourself. How to save EMF as JP2? How to rotate the page when converting EMF to JP2? How to rotate the page while converting emf to jp2? How to convert an emf to jp2 format? How to get rid of blank pages in PDF exported from SSRS? How to set the page height while converting emf to pdf? How to set color depth when converting HTML to PCX? How to convert a document of html to pdf file? How to convert rtf to eps? This entry was posted in HTML Converter (htmltools) and tagged emf to jp2. Bookmark the permalink.